If you've been following, you know i'm still holding MU from the 40s, and still buying dips when the opportunity presents itself. I will look at some option calls today i think. 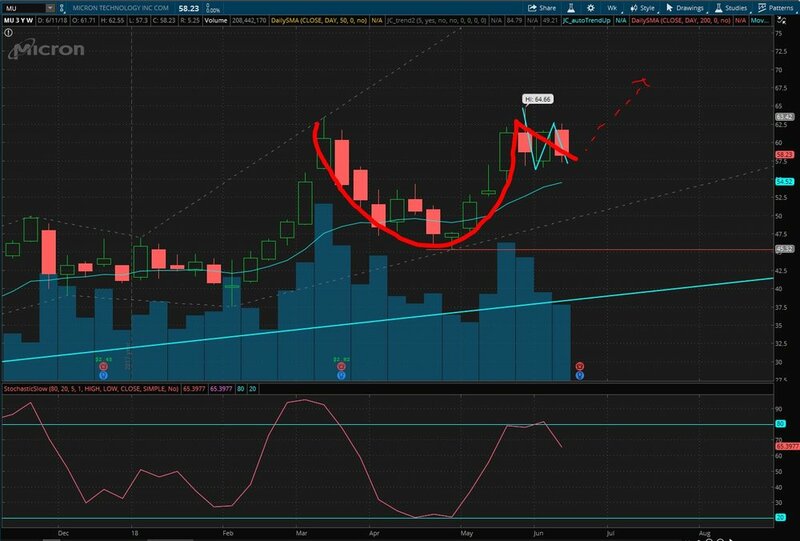 The weekly is showing a nice cup and handle, and zooming into the daily the handle is formed by an A-B-C correction pattern. We have a little more downside before that finishes, but keep in mind their earnings is this week. Stock buybacks are incoming, which should raise the SP alone by ~ $10/share as the buybacks happen.